Go Climbing for Kids is a U.S.-based non-profit organization that specializes in fundraising adventures in South America. Our mission is to help people experience the fun and excitement of high-altitude mountaineering in one of the most beautiful and diverse mountain ranges in the world while raising awareness of the plight of orphans and the benefits of adoption. All net proceeds of the organization are given to benefit the neediest children of Latin America. The McDowell County Juvenile Crime Prevention Council (JCPC) is a planning body of concerned community members whose mission is to: support the development and implementation of community based programs that meet the identified needs of all children who are delinquent or are at risk of becoming undisciplined or delinquent. 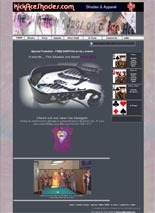 Stripeless Zebra Productions is a full service 36 track audio production studio located in Marion, NC. The Thistle Place Inn is a Bed & Breakfast located in Greenville TN. The Inn is a 1920's manor house on a bluff overlooking the Nolichucky River Valley. The southern end of the Appalachian Mountains provide a beautiful background to the Inn's country setting. The three guest rooms are furnished with antiques that compliment the timeless charm of the home and all the rooms have mountain views: two have verandas. 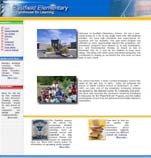 Eastfield Elementary School, a North Carolina Exemplary School, meets year round kindergarten through sixth grades. 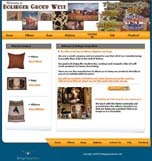 Our goal is to bring the modern day cowboys and cowgirls a line of well made products for home decorating. note: This is an e-commerce site. The P.G. Volunteer Fire Department, Inc. is an all-volunteer fire department that serves a community of approximately 4800 covering about 55 square miles. Bennick Grading & Excavation and Lake James Marine Construction based out of Nebo, NC, has the experience, tools and talent to meet your grading and excavation needs and will surpass your expectations. Whether your job is residential or commercial you can be sure that Bennick will do it right at competitive prices. Bennick is the first and only to offer shoreline stabilization by barge for Lake James, N.C.
Advanced Concepts Suspension is owned and operated by Jeff Elkins of Marion, NC. Jeff has been riding and racing motorcycles for over 30 years. He has won numerous championships in motocross and off-road racing. He has also competed in the Baja 1000 . What does all of this mean to you? It means that beyond the Race Tech certification done on site at Race Tech in California, and the knowledge that comes from years of being in the sport, you get experience and the quality of work the pros get. We are a team of east coast riders from North Carolina who are going to compete for the first time in the 2005 Baja 1000. While desert racing will be a new experience for all of us, most of us have ridden motorcycles our whole lives. All of us compete in hare scramble races in our region. Some of us have motocross backgrounds and some of us have road racing experience. Welcome to the greater Charlotte region's NEW virtual Quad for alumni, family and friends of Wake Forest University. Please note that this is not a University sponsored or endorsed website. Instead, our forum is simply a private location for connecting and communicating with friends. Visit Firethorn and find your piece of paradise among the towering hardwoods, rhododendrons, and mountain streams. McDowell County is home to some of the best businesses in western N.C. These businesses need and deserve World Wide Web exposure and presence. Whether you already have a web site, need a complete site, or just a simple economical web pressence. We have a plan for you. The Criminal Justice Partnership Program is an opportunity to form coalitions that will respond to the criminal justice needs of our local communities and our state. Blue Ridge Monuments of Marion, offers western North Carolina a wide selection of granite and bronze memorials which include imported colored granite, artistic sculptured monuments, mausoleums, signs and much more. Conveniently located in McDowell County with an extensive variety of samples in our show room and on our grounds. 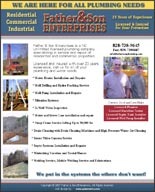 Father & Son Enterprises is a NC Unlimited licensed plumbing company specializing in service and repair of residential and commercial properties. Goldsmith, Goldsmith & Dews is a law firm focused on providing quality legal services to their clients. The cornerstone of their practice is personal, individualized representation to each of their clients, focusing on their individual needs and goals. 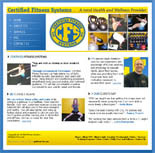 Through personalized techniques, Certified Fitness Systems can help relieve you of tight, inflexible muscles, bad posture, back pains and more. Using strength and conditioning equipment, rehabilitation tools, postural analysis and nutritional guidance, CFS will help you establish a routine customized to your specific needs and lifestyle. 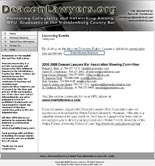 DeaconLawyers.Org is a private community and resource for WFU-affiliated lawyers in the Mecklenburg County Bar. 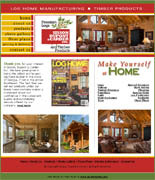 Sisson Dupont & Carder takes great pride in being the oldest and largest log home manufacturer in Georgia, if not the entire Southeast. The fact that we sell our products under our family name certainly makes a statement about our confidence in the consistent quality and outstanding service offered by our company. 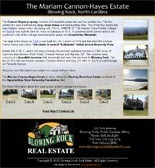 The Cannon-Hayes property consists of 4 beautiful estate lots and two smaller lots. The four estate lots have breathtaking long range views and level building sites. Two of the four estate lots have historic homes which are being sold “AS IS, WHERE IS”. The historic “Knox Family Cottage” on Tract B was built for John M. Knox of Salisbury in 1914. A screened porch carries across the southwest side of the cottage overlooking the gorge and Grandfather Mountain. This beautiful mountainside inn is located in Blowing Rock, North Carolina on Valley Blvd. just one mile south of the Blue Ridge Parkway. I support and use Mozilla's browser Firefox. It is open source and free to use. You can create custom toolbars and it incorporates tabbed browsing which is very convenient. Click on the following link for a free download.